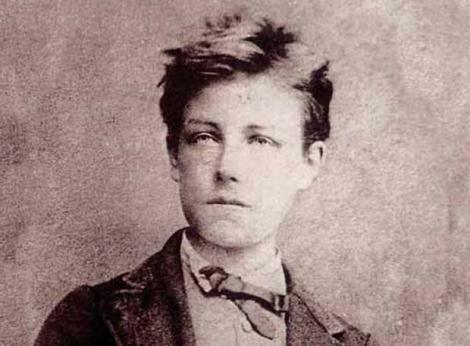 Often credited with the invention of Modernism, Arthur Rimbaud (1854-1891) led a truly remarkable life. When he wasn’t running away from home, denouncing God, or having an illicit love affair with Paul Verlaine, he wrote some truly remarkable poetry. Until, that is, he reached his twenties, when he decided to give up his life as an artist to go and be a weapons trader in Africa, where his lifestyle would eventually shatter his health, and lead to his death at just thirty-seven. By all accounts he was an extremely volatile character; the tale of how Verlaine shot him in the wrist during a drunken brawl is well known. Still, there has always been something about him that has seemed terribly vulnerable to me. He obviously had an incredible genius, and it appears that he was never really able to find what it was that he was looking for in the world; he lived as though the wind was constantly at his heels. -Half heard in the woods, halloos from distant throats. Yes, die, child, die, and drift away to sea! Infinity flaring in your blue eye!